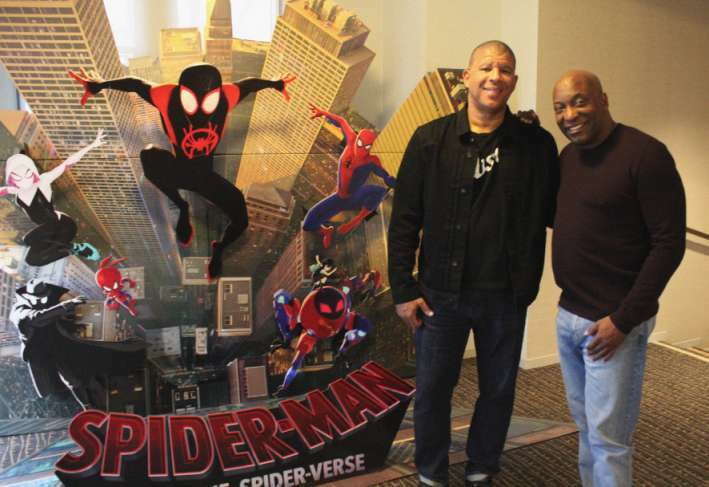 Last weekend, Oscar-nominated actor John Singleton and newly nominated Spiderman: Into the Spider-Verse director Peter Ramsey had a special screening of the movie for some awesome youth from the Leimert Park community! 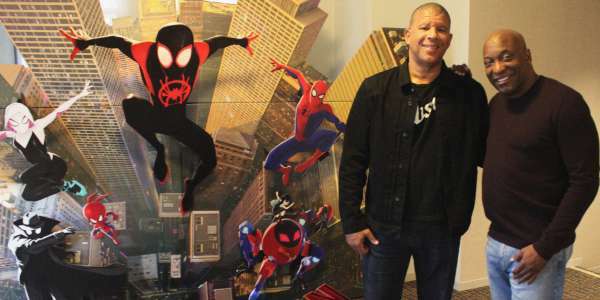 Peter Ramsey was recently announced as an Oscar nominee for Spiderman: Into the Spider-Verse along with co-directors Bob Persichetti and Rodney Rothman. Singleton is both the first African American nominated for "Best Director" and the youngest person to have ever been nominated for the award thanks to his influential film Boyz in the Hood. Ramsey and Singleton both spoke passionately about how they got their start in Hollywood. They also talked about working together on Boyz in the Hood. After their speech, the students enjoyed the screening and "oohs and ahhs, laughter, and gasps were heard throughout"! Leimert Park is a neighborhood in the South Los Angeles region of Los Angeles, California and is called the "Heart of the Los Angeles African American Community". It was an exciting evening and, after learning about Ramsey's nomination for Spider-man: Into the Spider-Verse, an amazing experience! It's great to see creators reaching out to youth and bringing them material that can surprise and inspire like this movie. What do you think of the screening? Let us know in the comments below!